Genevieve Pielack (Jackowski) passed away on December 29th, 2018 after a wonderfully blessed 96 years on earth. She was born on August 14th, 1922, in Detroit, Michigan, to Joseph and Catherine Jackowski; preceded in death by husband, Walter, and son, Larry Pielack. Genevieve is survived by sons Gerry (Theresa Emmanuel) and Don (Carolyn) and daughter-in-law Carol; grandchildren Rachel (Mike), Samantha (Kirk), Keith (Lindsay), Elizabeth (Jim), Jennifer (Jon) and Emily; great-grandchildren, Ryan, Hannah, Noah, Madeline, Alaina, Evan, Renee, June, Aubrey and William; Aunt to many nieces and nephews, including Joe (Donna) Jaczkowski, who always made sure she had a ride to St. Hyacinth’s for Sunday mass. She was a lifelong member of St. Hyacinth’s Catholic Church in Detroit. Genevieve enjoyed genealogy and spent many years learning and researching her Polish roots. She also liked gardening and tending to her flowers. Time with her kamushkas at the Eastpointe Senior Center was also valued, but her family and faith mattered most. 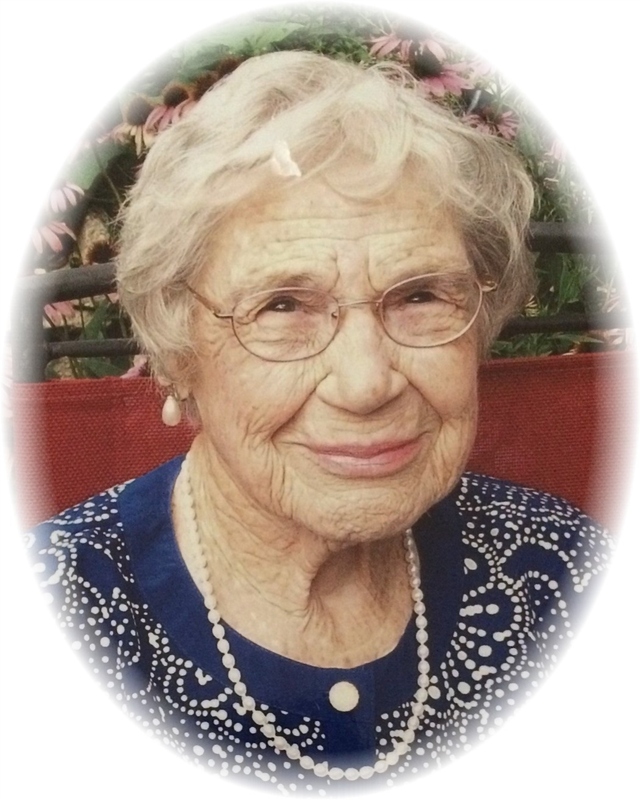 Her family will miss her lively personality and listening to her many stories. A funeral mass will be celebrated on Thursday January 3rd at St. Hyacinth Roman Catholic Church, 3151 Farnsworth, Detroit. Mrs. Pielack will lie in-state from 9:30 AM until time of Mass at 10:00 AM. Visitation Wednesday January 2nd from 2:00 PM until 8:00 PM with a Rosary Service at 7:00 PM at the Bagnasco and Calcaterra Funeral Home, 25800 Harper Ave., St. Clair Shores. Memorial contributions are suggested to St. Hyacinth in lieu of flowers.